A Reese egg took a jaunt as the war to be in consumers' Easter baskets heats up. 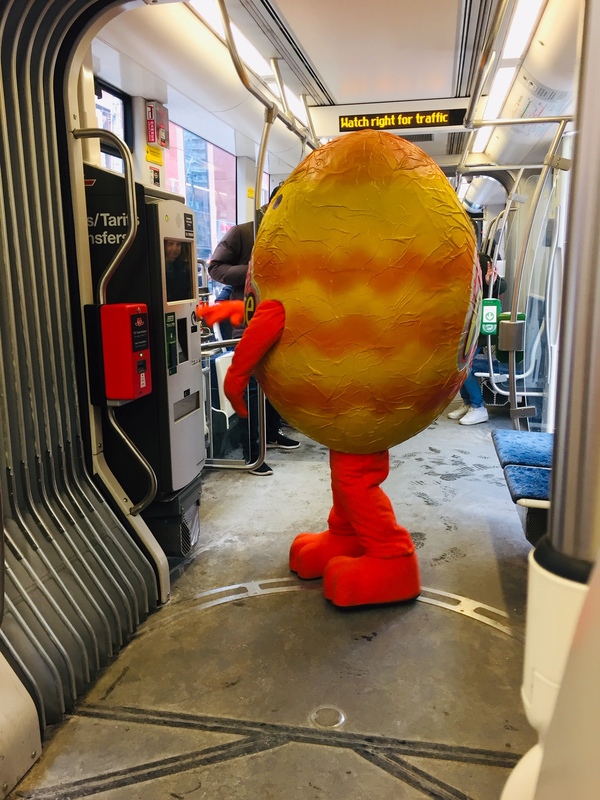 It’s just over a week until the Easter long weekend and Reese aims to win the season with its mascot Reester promoting its peanut butter-filled chocolate Easter eggs. 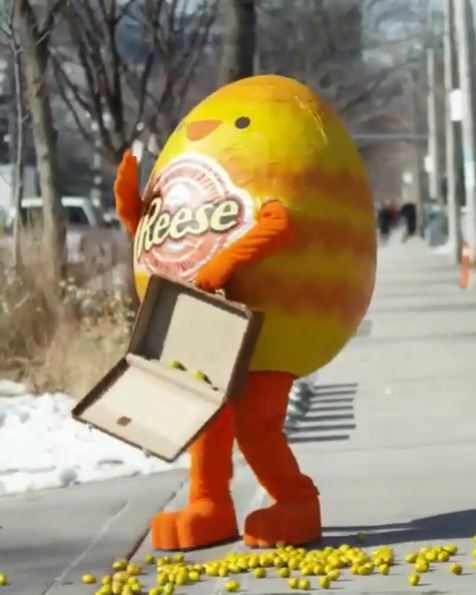 A person dressed up in a life-sized Reese Easter egg, a.k.a. Reester, was spotted riding the Red Rocket, walking a totes adorbs dog and buying a hot dog in Toronto recently. 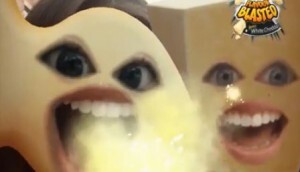 The egg-cellent stunt will undoubtedly help Reese compete against those other long-established Easter chocolate brands (*cough* Cadbury’s Creme Eggs and Mini Eggs with its iconic TV ads featuring a marshmallow-white bunny *cough*). The activation for the Hershey’s-owned candy brand that’s available for a second year in Canada had Anomaly on creative, with media buying from UM and PR by Mint. 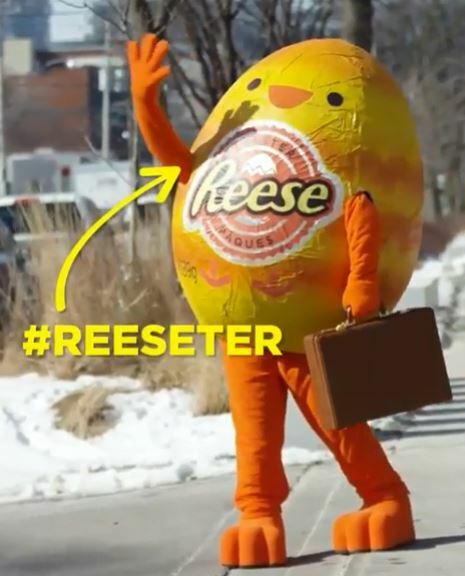 The seasonal launch of #Reester (who apparently carries around a suitcase full of the sweet treats) also included an Easter egg hunt in The Six that was documented via promoted Instagram Stories. While Reese is primarily known for its iconic (and delish) peanut butter cups, the brand has branched out with other yummy treats lately, including its seasonal Easter eggs. It also promoted its new candy with a peanut inside the peanut-butter-and chocolate candy with a fun place-based activation in Toronto this spring. Oh, and the Hershey-owned brand literally launched Reese’s Pieces Peanut Candy into space (whoa!) – truly out of this world.